Our KLAF Dissolved Air Flotation Tank efficiently separates the suspended pollutants from the wastewater. It is capable of removing solids, gelatinous substance and oil from domestic and industrial wastewater so as to prepare it for further stages of treatment. 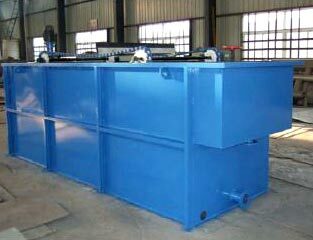 KLAF Dissolved Air Flotation Tank features a simple structure, is easy to install, simple to operate, involves low operation cost and has low power consumption. Besides, the operation produces low noise.